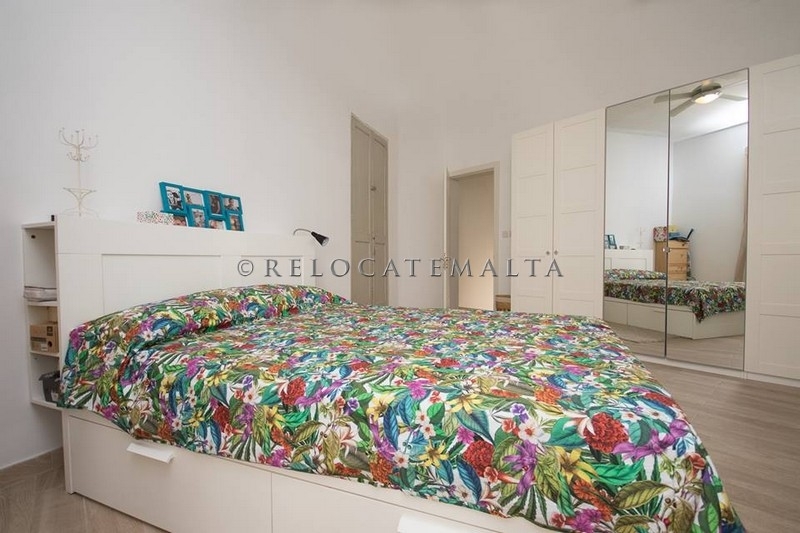 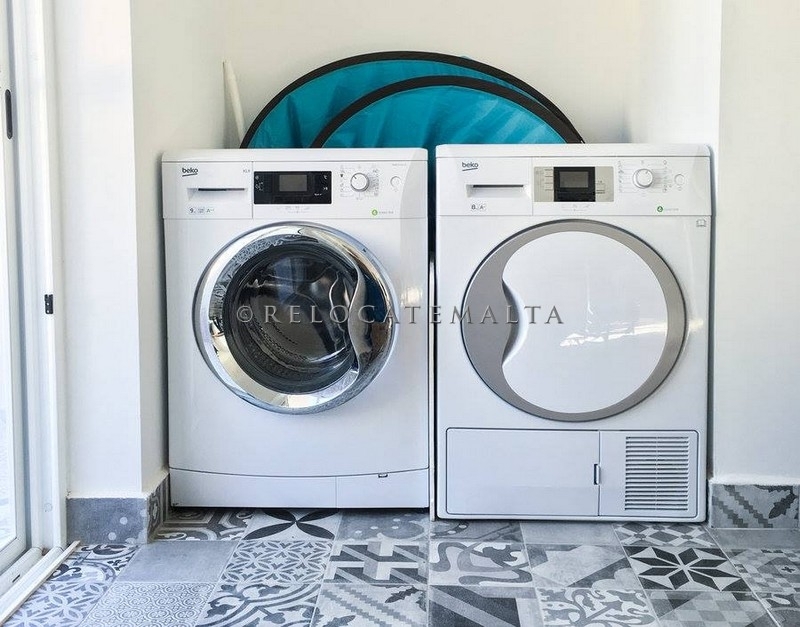 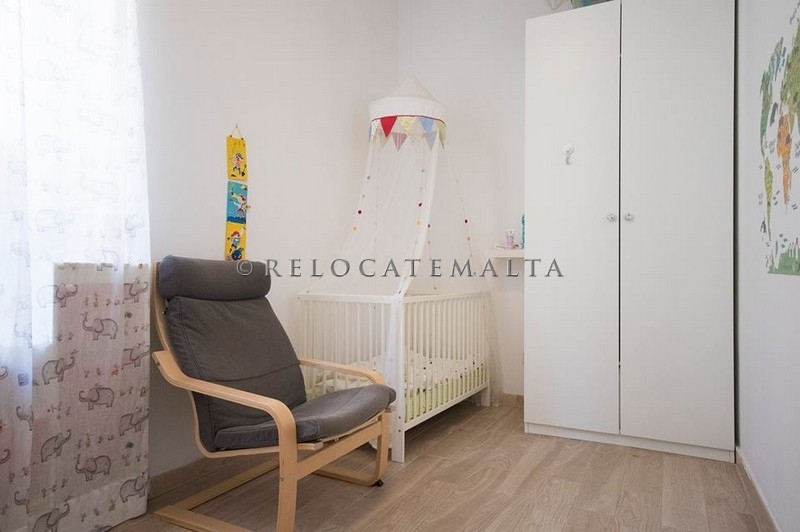 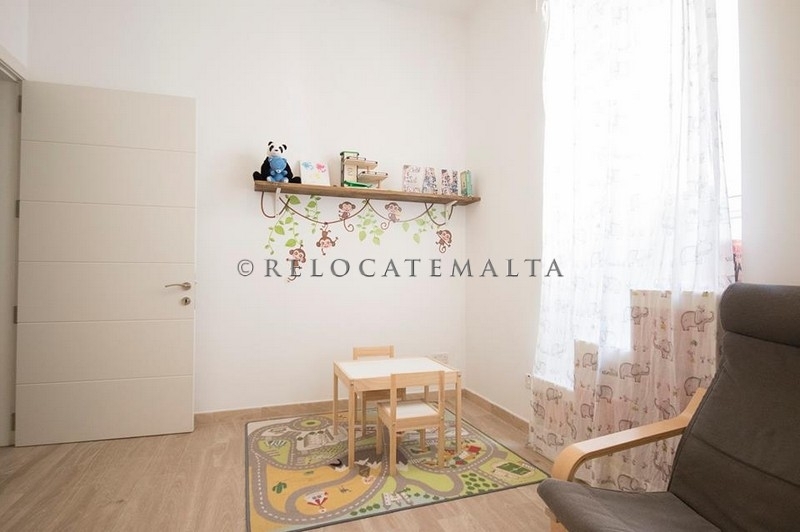 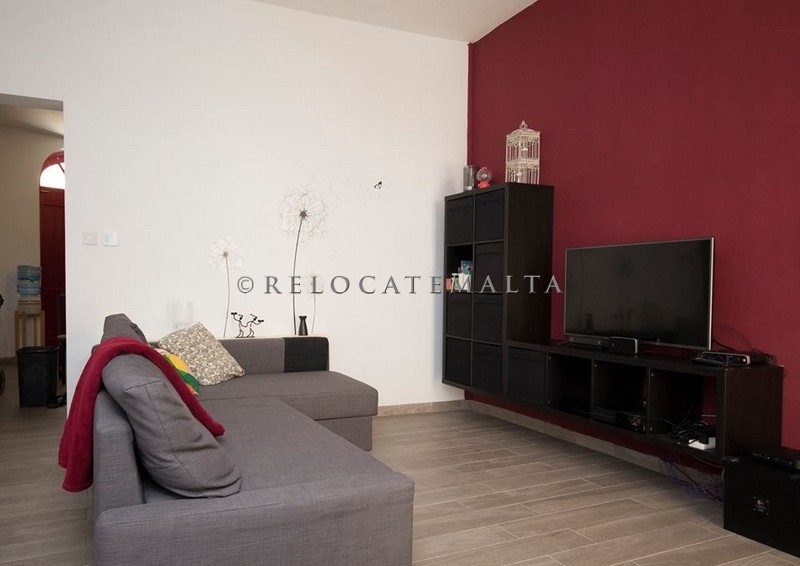 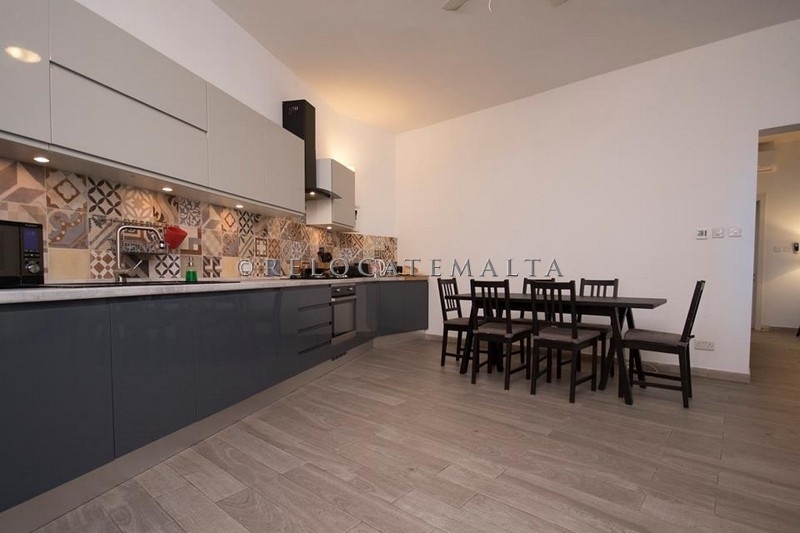 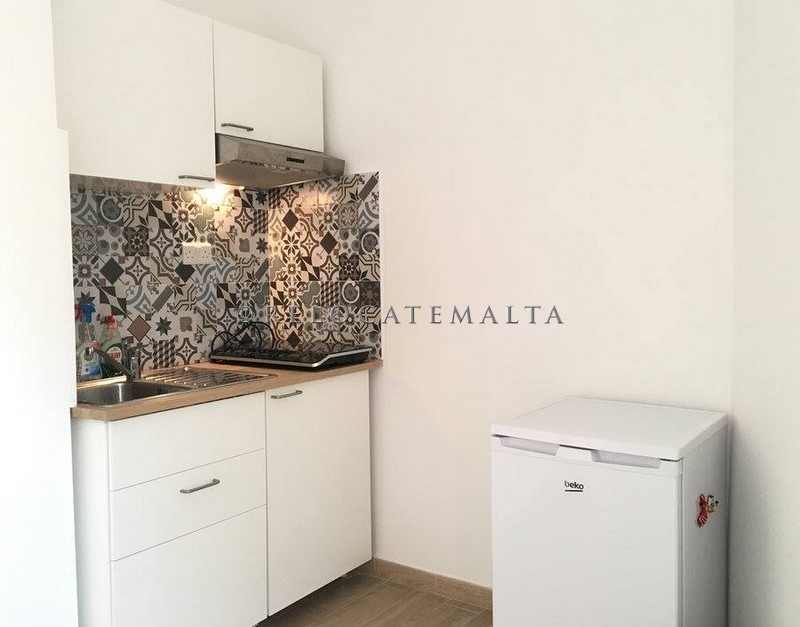 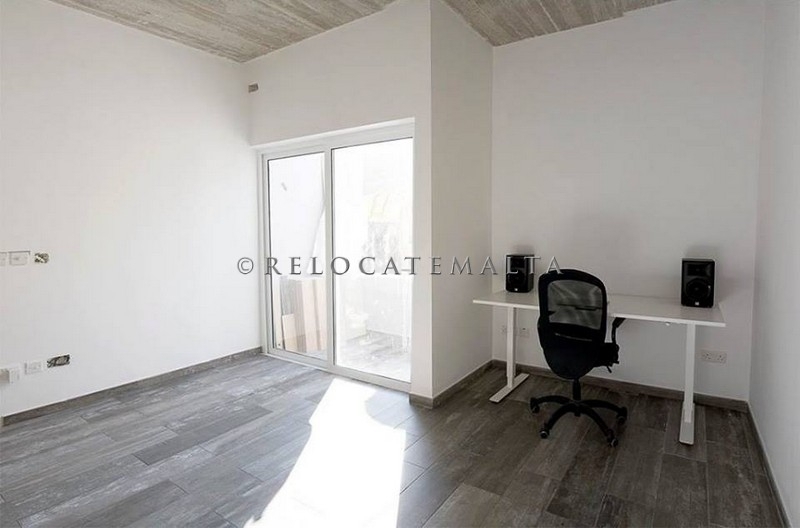 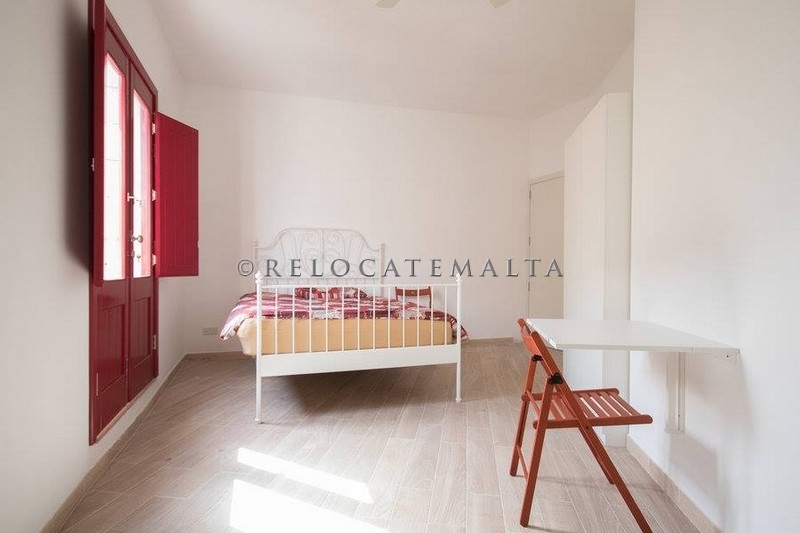 Sliema with walking distance to the strand newly renovated 4 bedroom town house consists of, ground floor holds a large, fully equipped kitchen and dining. 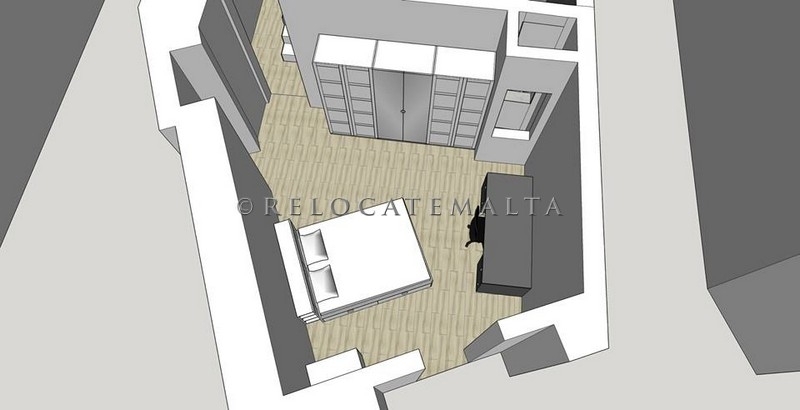 Pass the kitchen and you have a cosy living room, a coat room, toilet and a small backyard. 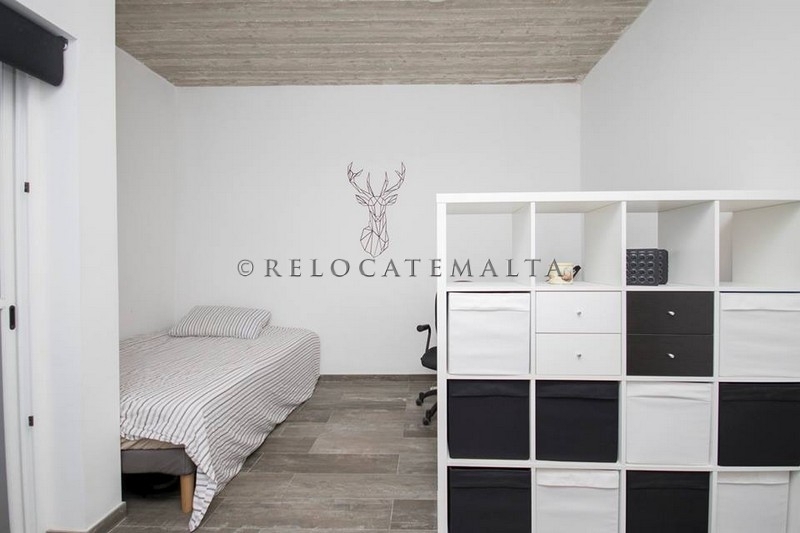 On the second floor you find a beautifully bedroom with a modern and edgy concrete finished ceiling and a small terrace. 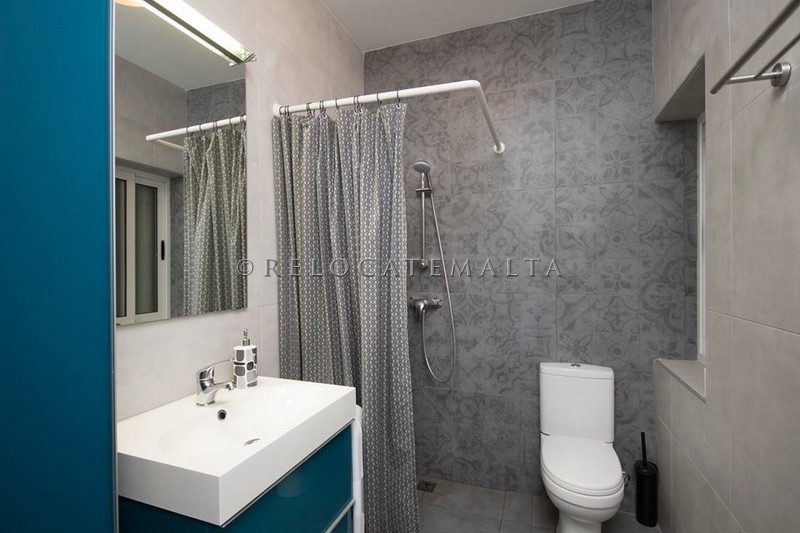 Another bathroom with a massive shower is next to it. 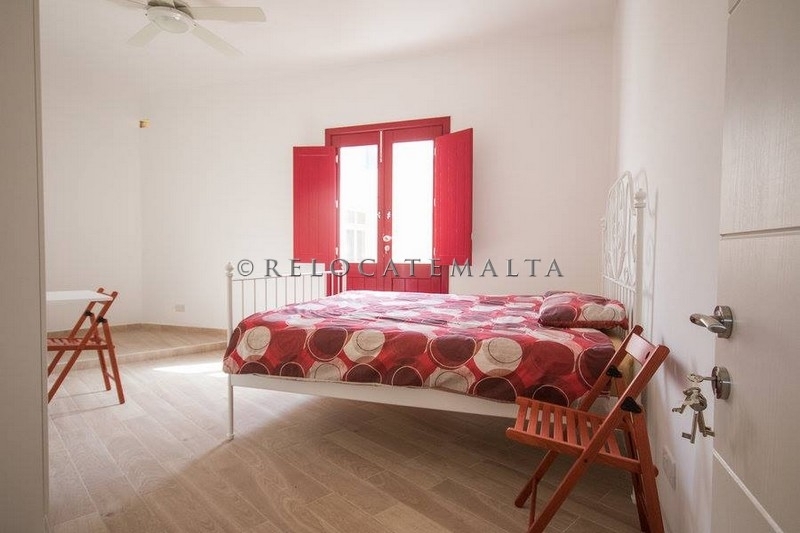 And finally theres another bedroom that even has its own kitchenette, perfect for guests. 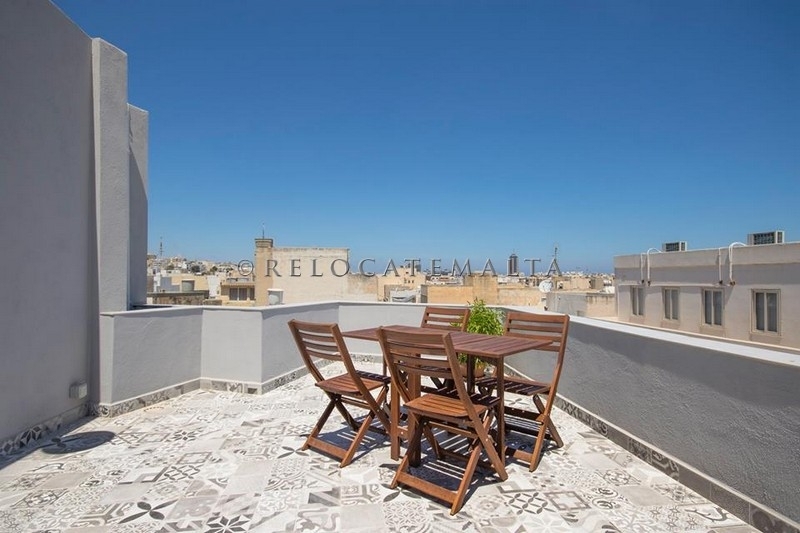 Finishing off on the top floor theres a spacious washroom, one small terrace to hang laundry, and a nice big terrace to sunbath, BBQ and enjoy your days and evenings. 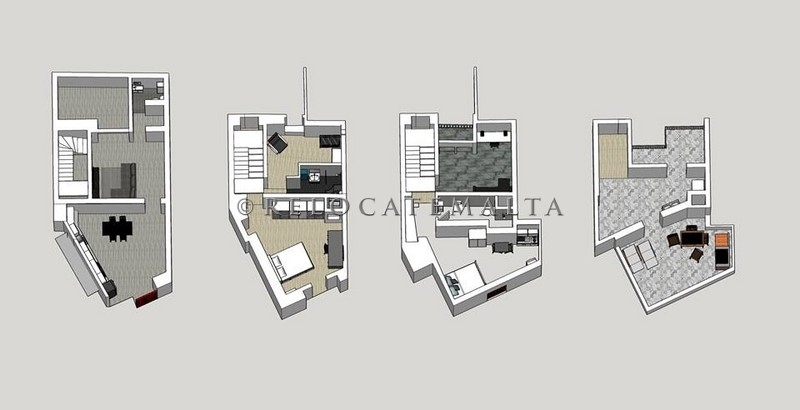 TOTAL PROPERTY AREA - Foot print 70 sq. 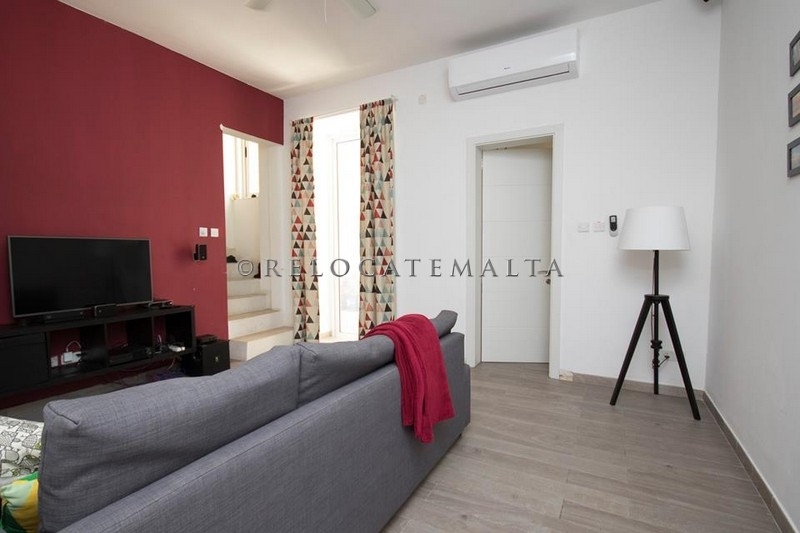 The property is being sold with brand new low energy ACs and ceiling fans, electric floor heating. 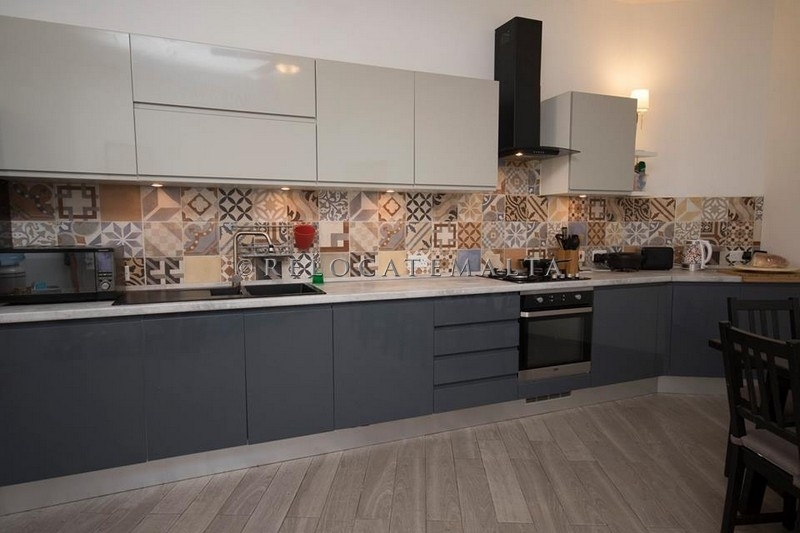 All apertures heavy duty aluminium and double glazing, and a modern kitchen, well, 4 bedrooms, bathroom, guest toilet, shower en-suite, wash room, back yard, and roof terrace with a kitchenette.